Princeton Council meets Monday night to consider the impact of recent changes to street parking in downtown Princeton, which included the first increase in parking meter rates for many years. Local merchants have sent letters to local media, arguing that “fewer people are coming to our downtown to shop” and commenters on social media have argued that they are no longer coming to Princeton to shop because of the higher parking rates. 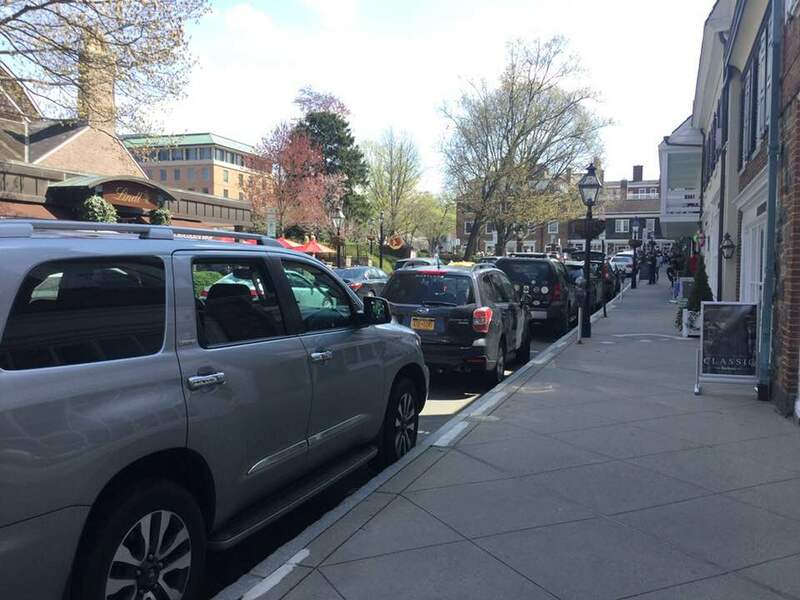 If the new meter rates were really scaring away potential customers of downtown Princeton stores, you might expect to find lots of empty street parking spaces. 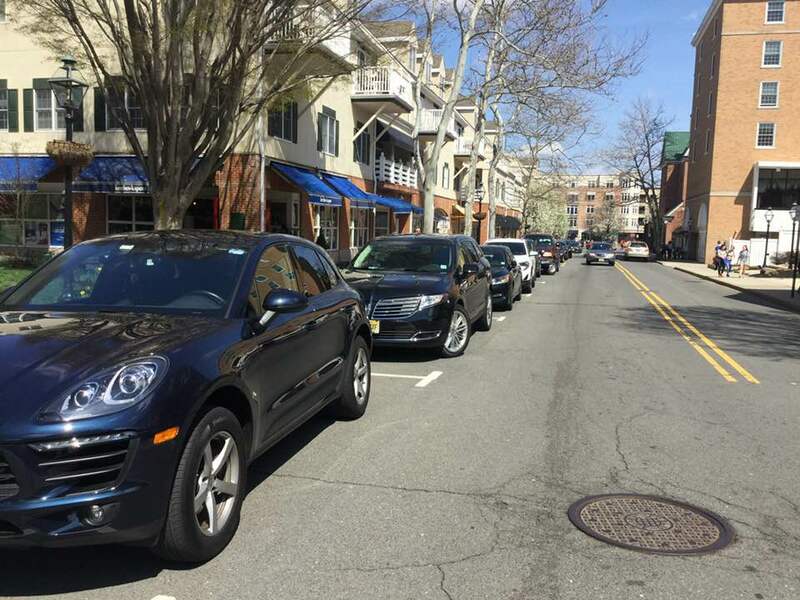 The reality was rather different on Saturday afternoon, however, as every available metered parking space in downtown Princeton seemed to be taken. 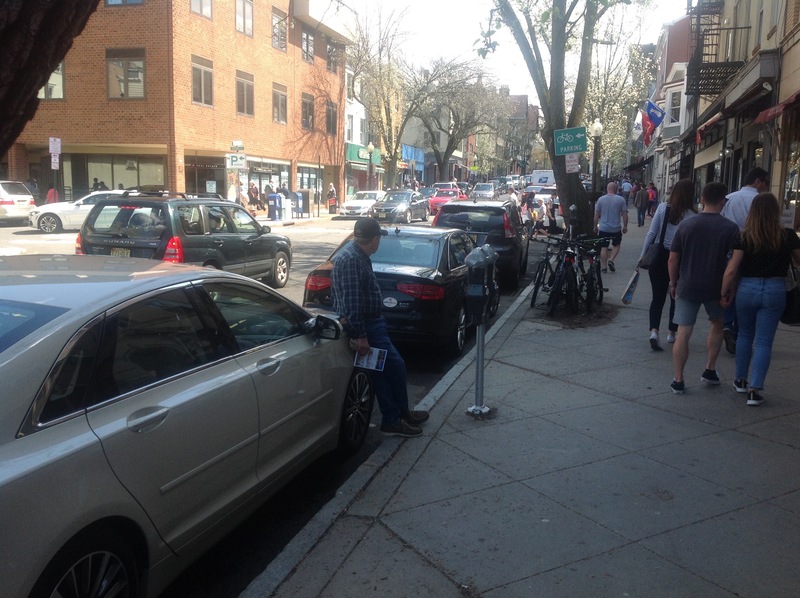 Cars occupy ever available space on Witherspoon St, Saturday, April 13, 2019 (click to expand). 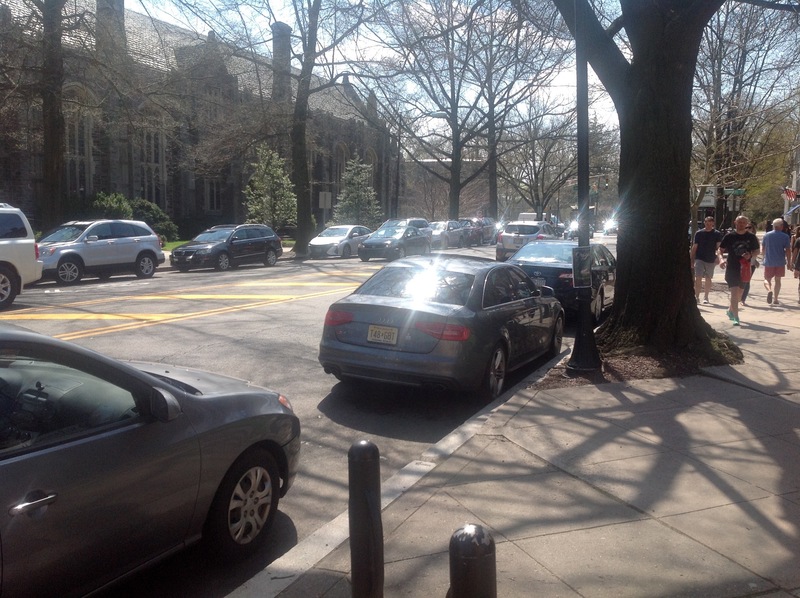 It’s possible that the increased parking meter rates are scaring away potential customers at other times in the week, but at peak times, people are still coming to Princeton in large numbers. In fact, demand still outstrips supply, suggesting that at peak times, meter rates are possibly still too low. Potential customers are potentially giving up trying to park after not being able to find somewhere to park on the street. Lowering metered parking rates are not likely to solve this problem, as it would further reduce the mount of turnover, making parking harder to find. Why are people not choosing to park in the Chambers Street Garage? The answer perhaps comes down to price and convenience. It is more convenient to park on the street, and – even with the increased meter rates – it is still cheaper to park on the street. The maximum price charged by the town of Princeton for metered parking is $1.15 for 30 minutes in the “30 minute zones”. Hourly parking on the street tops out at $2.25 per hour, and can be found for $0.75 per hour in the blue meter zones. In contrast, the Chambers Street Garage charges $1.50 for up to 30 mins, and $3.50 for 30 mins – 1 hour. Princeton Council commissioned a parking study in 2017 which also found that street parking in the central business district becomes very full on Saturday afternoons. That report also found that the garages have a lot of available spaces during the afternoon on Saturdays, but that they fill up after 5 p.m. 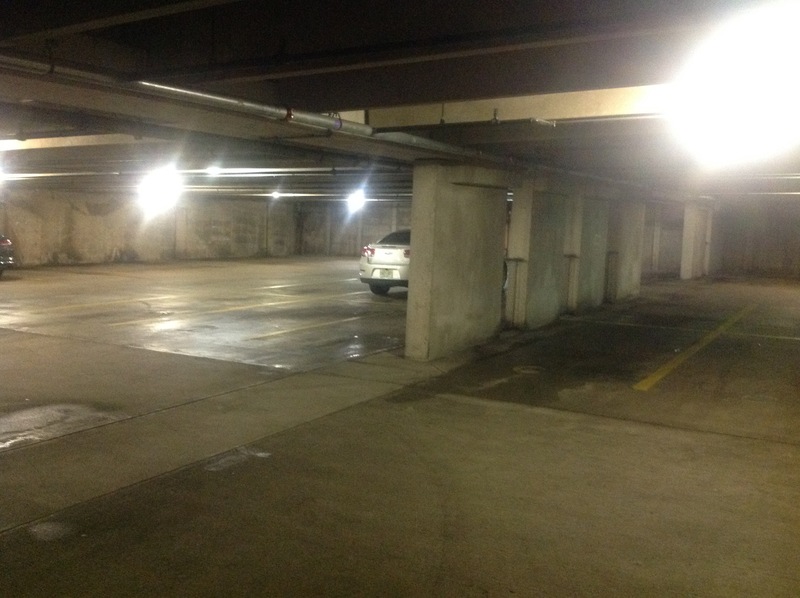 There is always parking available somewhere, such as in many University parking lots and garages, which are open to the public and free at weekends. But this may require a walk of several blocks to the stores on Palmer Square. 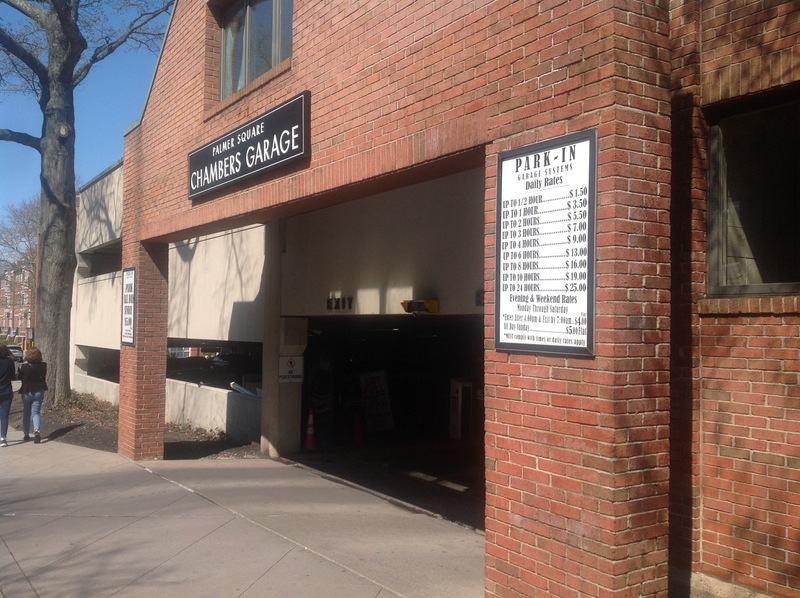 Businesses in downtown Princeton could presumably incentivize customers to use vailable parking in downtown garages, but few (none?) of them offer validation at present, and they don’t seem interested in doing so in future. 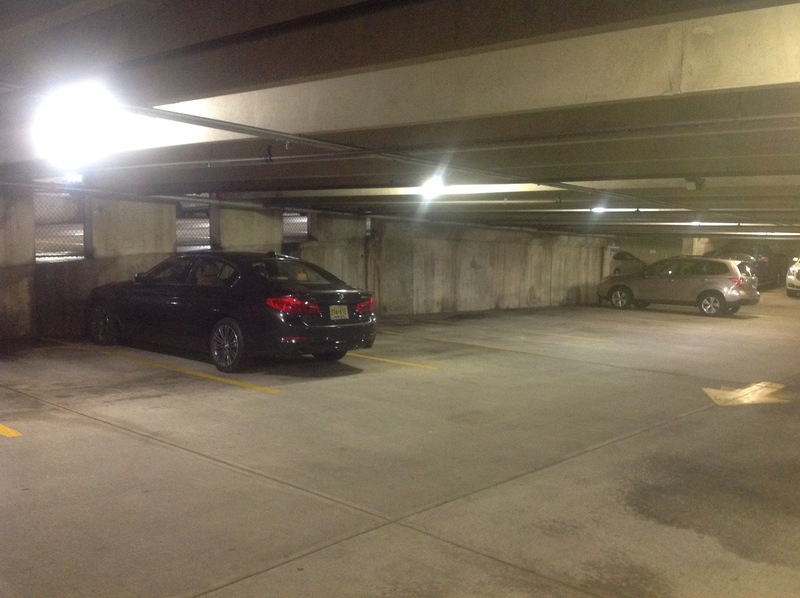 This entry was posted in planning, Princeton, The Parking Question and tagged Parking, planning, Princeton. Bookmark the permalink.